The US, in an attempt to compensate Israel for the American failure to bomb Iran, offered to bolster Israel's defences against ballistic missiles. 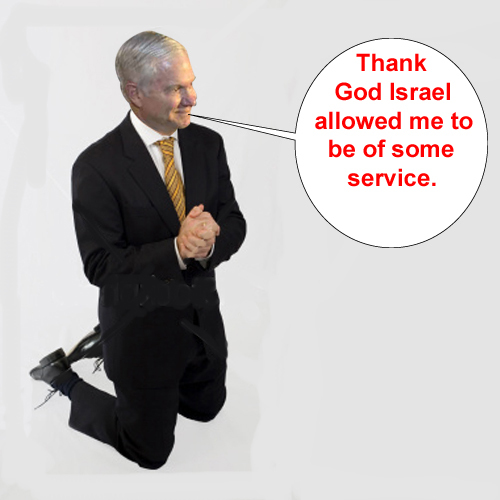 Secretary of Defence, Gates, proposed stationing an advanced radar system in Israel. He also said he would link Israel directly into America's early warning satellite network and move the Pentagon to Jerusalem. This was something Israel has been demanding for some time now, as it will allow them to manipulate the system to their own ends. Gates also offered increased American funding for the development of two Israeli missile defence systems - the Arrow-3, an upgrade of Israel's existing Arrow system for intercepting ballistic missiles, and Iron Dome, a system designed to intercept short-range rockets. In addition, Washington agreed to give Israel nine Super Hercules long-range transport aircraft to move troops from Tel Aviv to the West Bank.